Take this amazing Ford Mustang GT350 for a 3 or 6-mile driving experience around one of a number of UK venues. Our 1965 Mustang GT350 has a roaring 5-litre V8 engine which creates a massive 500bhp! 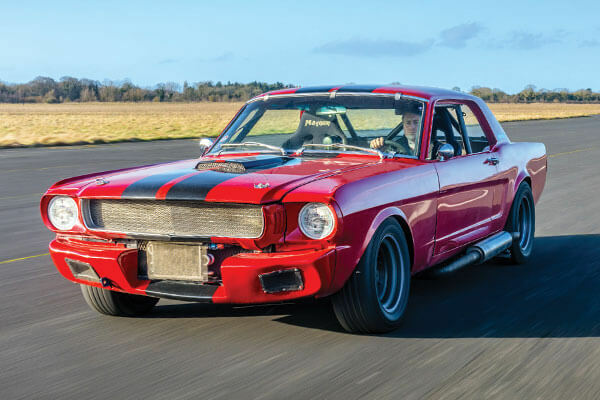 This particular model competed in the 2014 Silverstone classic and was declared as the fastest Mustang in Europe! * High-speed passenger ride if pre-paid. Last minute special offer to drive your choice of Supercar at Heyford Park, Bicester Oxfordshire. Drive 3 iconic Aston Martins, the DB9, V8 Vantage and the Aston Martin DBS at Elvington. A dream come true for any Aston Martin lover from Trackdays.co.uk. The Junior supercar driving experience in Essex is a perfect gift for anyone betweens the ages of 12 and 16.